"The Translator is a story about love, both human and divine. Sammar is a young Sudanese widow, working as an Arabic translator at a British university. Following the sudden death of her husband and estrangement from her young son, she drifts - grieving and isolated. Life takes a positive turn when she finds herself falling in love with Rae, a Scottish academic. To Sammar, he seems to come from another world and another culture, yet they are drawn to each other." "Sammar is a young Sudanese widow, working as an Arabic translator at a British university. Following the sudden death of her husband, and estranged from her young son, she drifts, grieving and isolated. Life takes a positive turn when she finds herself falling in love with Rae, a Scottish academic. To Sammar, he seems to come from another world and another culture, yet they are drawn to each other. 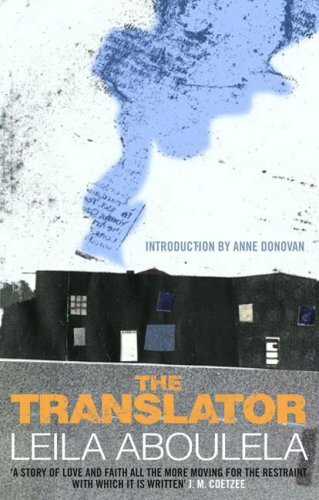 'The Translator' is a story about love, both human and divine. Leila Aboulela's first novel, first published in 1999, was longlisted for the Orange Prize for Fiction and the IMPAC Dublin Award, and was shortlisted for the Saltire Prize. It has subsequently appeared in editions worldwide." "Leila Aboulela was born in 1964, grew up in Khartoum and moved to the UK in her twenties to study at the London School of Economics. In 1992, while living in Aberdeen with two young children and a husband working offshore, Leila found comfort through writing about her home city. She attended creative-writing workshops which helped to broaden her reading and introduced her to Scottish writers. Her last novel 'Minaret', published by Bloomsbury, was short-listed for the Orange Prize. Leila Aboulela now lives in Abu Dhabi and is currently working on her third novel." This is a beautiful, moving tale of love, cultural interaction, immigration and faith. I'm not a religious person myself and I think that's why I was fascinated by how religion was such an integral, inseparable part of Sammar's life and her whole being. Aboulela writes very beautifully and with grace. I'm sure this story will stay with me for a long time. This book is on its way to loveamystery in Vancouver as part of the Global Village VBB. This book looks very interesting. And thank you for the book marks too. This was a story of faith and love. The cultural and religious differences were vividly descibed as well as the sights and sounds of both places. Love and faith know no boundaries. This book is on its way to the October RABCK sweeps winner. Enjoy! Book arrived in today's post - thank you so very much. I had not heard of this book / author, but it looks like a book I would have picked up & chosen to read myself. Thank you for a great choice. Oppem, the Bookcrosser who previously journalled this book, passed away on June 23, 2012. I had the privilege of meeting her dear family and "catching" her large collection of registered books. I will be releasing this one soon. Sending to ciloma, who has this on her wishlist. Enjoy! This book was one of many I received in the mail. Thanx a bunch! !